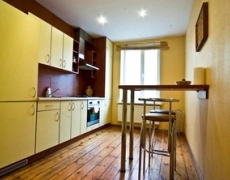 Home Accommodation Short Term Rental Two bedroom apartment / Šaltinių str. 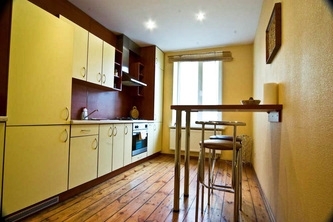 Two bedroom apartment / Šaltinių str. 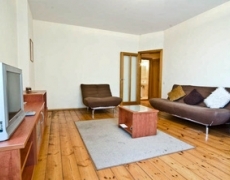 Apartment is located in the New Town, not too far from the city centre. It's a light, furnished 100 m2 apartment; 4th floor, 2 bedrooms. Suitable for 1-6 persons. 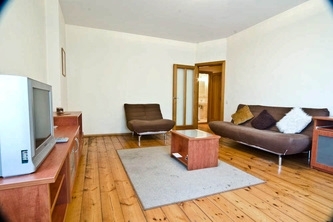 Apartment is located in the New Town, not too far from the city centre. It's a light, furnished 100 m2 apartment; 4th floor, 2 bedrooms: one with a double bed and one with twin beds; double sofa-bed in the living room, kitchen, bathroom, TV, washing machine, iron, hairdryer. Apartment is suited for 1-6 people. Guests are welcome from 1 p.m., check-out - till noon (12 o'clock). Another time of arrival can be discussed. Arrival between midnight and 7 a.m. - extra 10 EU. cash (Eu/Lt) and VISA, Mastercard. Free cleaning of the apartment once a week. If cleaning needed more often - extra 15 EU.